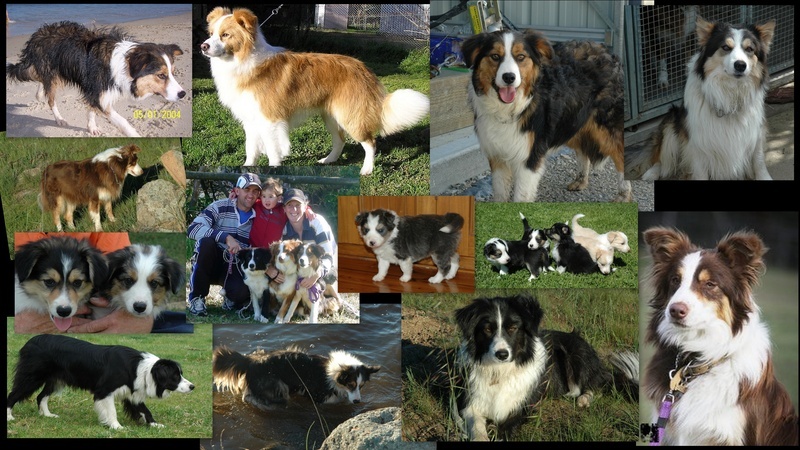 All our border collies are part of our family and are bred to be calm, friendly and intelligent dogs at home on the couch watching a movie with the kids or mustering sheep and cattle all day long with the horses. They are all clear by parentage or DNA tested for CEA/CL/TNS. We only breed from sound dogs with good confirmation and temperaments. We have owned the parents, grandparents and greatgrandparents of our girls and our dogs have gone to perform in all aspects of dogs sports, as assistance dogs, in film and TV or just wonderful family members. We breed the occasional litter so please contact us for latest information. 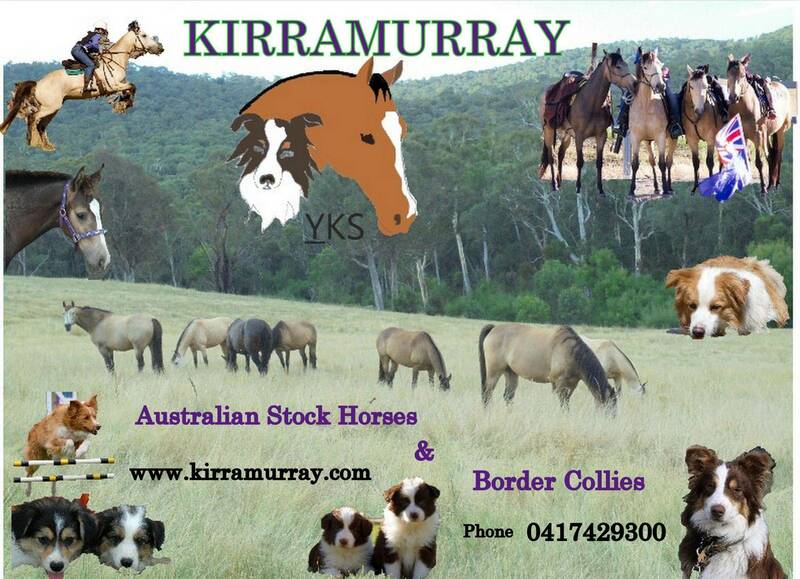 Current pictures of our dogs and latest litters can be found on our facebook page Kirramurray Or on the following links: Kirramurray Border Collie Pictures or see our puppy page. if your interested in one of our puppies. We have limited phone reception and internet so will reply as soon as possible. 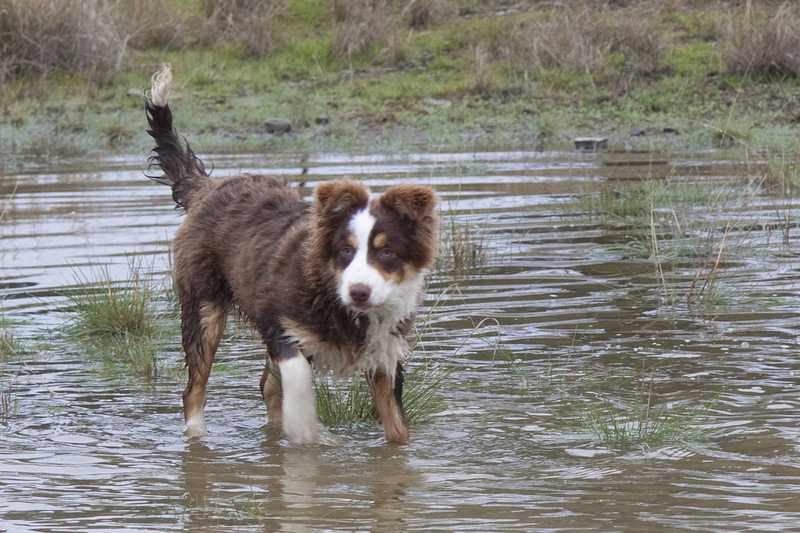 Arajoel U are Rustngold our Chocolate Tri known as Kirra has joined the family and has started her obedience and sheep work.